Weaning is a process of including complementary feeding other than breastmilk or formula milk. Starting weaning to a baby is a big milestone which is fun and worry as well. Most of the mommies are confused about when to start solids for baby. Here I have provided some useful information regarding the same. Hope it helps to begin the solid foods for your baby. Exclusive breastfeeding or formula feeding is recommended by Indian Ministry of Health until at least 6 months of age as breastmilk provides important nutrients to your baby including iron. After 6 months, breastmilk alone can’t produce enough nutrients to your growing baby and your baby’s immune system is ready to accept solids. Hence solid food should be included in baby’s diet to ensure getting all nutrients, particularly iron. Early introduction to solids less than 6 months may lead to adverse reactions to foods and allergies. This is important when you have a history of food allergies in your family. There are some scenarios (like a reflex) or other reasons, your pediatrician may suggest you start early as before 6 months. Then the option is yours but weaning as early before 4 months is not generally recommended. Even if your baby is showing these signs, it’s always best to wait until 6 months. 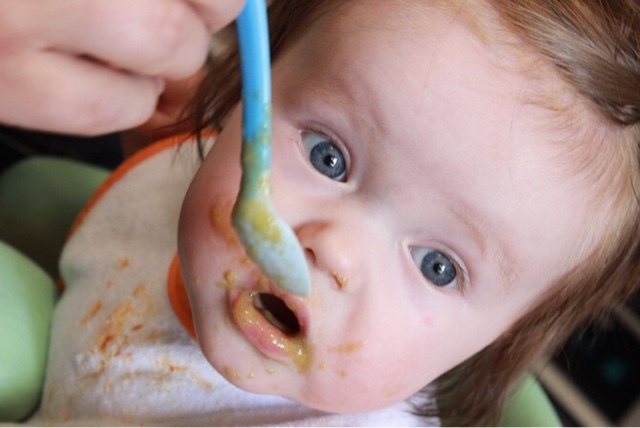 What are all the key points to remember before introducing solids and feed your baby safely? Always use clean hands and sterilized vessels & bowls to make your food and feed your baby. Never leave your baby unattended while eating to avoid the risk of choking. Always serve the baby with fresh food to prevent the loss of nutrients. Consume within 1 hour after preparation. Discard the leftovers before it gets contaminated. Use cooled boiled water to make your baby food. Read more on how to introduce solids to your baby here. Thanks for the knowledge. I just want to know whether we can start solids at the starting of 6th month or after the completion of 6th month means 7th month starting?